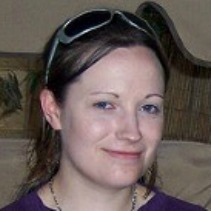 Hannah Wright: Hannah received her BA in philosophy, politics and economics from University of Oxford in 2005. She went on to teach English in Rio de Janeiro, Brazil and worked in Project Management for the British Civil Service. Hannah has had a keen interest in the Israeli-Palestinian conflict since her first visit to the region in 2002. At the time of her fellowship, she was studying for a MS in gender and international relations at the University of Bristol in the UK, and also studying Arabic. After her fellowship, Hannah wrote: "I felt that blogging and producing articles for the British media was one of the most important things I did, because while there is a lot of information available in Britain about the situation in Palestine, very little of it comes directly from people on the ground speaking about their own experiences. I feel this is a very important aspect of international advocacy." As promised, a final video from the summer. I will let Salam do the talking. Why Care About Women’s Rights?